Comes in choice of colors. Pictured here in black. Your choice of with or without brocade. Cost is less without the brocade. 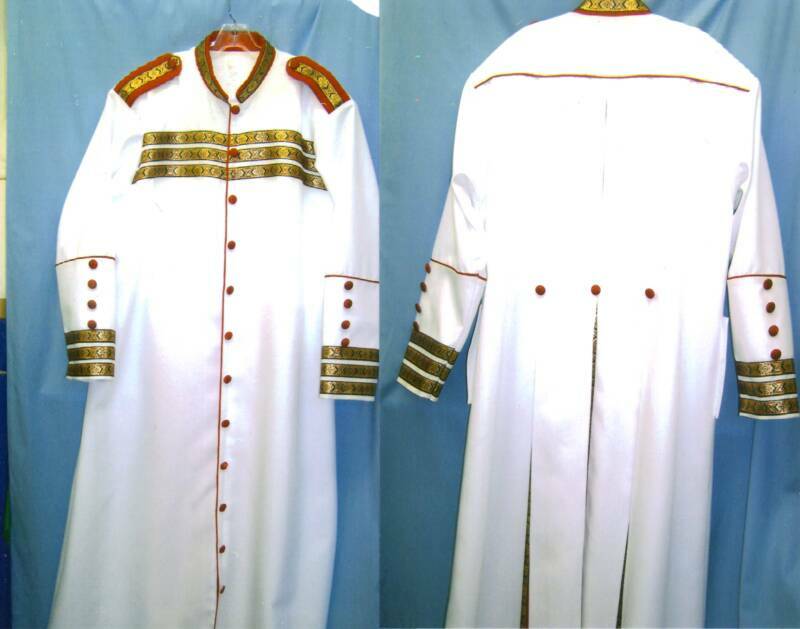 A very nice robe for younger ministers. Not as full in the body as the robe with 3 pleats. White with Red collar and cuff.